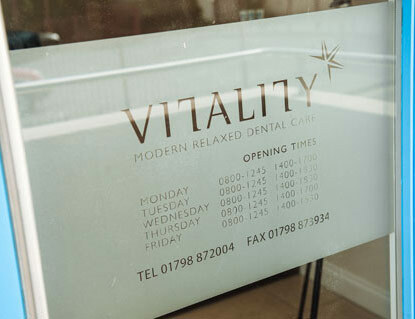 You come first: At Vitality, it goes without saying that our patients are of upmost importance to us. Everything we do centres around the health and wellbeing of our clients, which is why our boutique-style practice has been designed to make you feel at home. 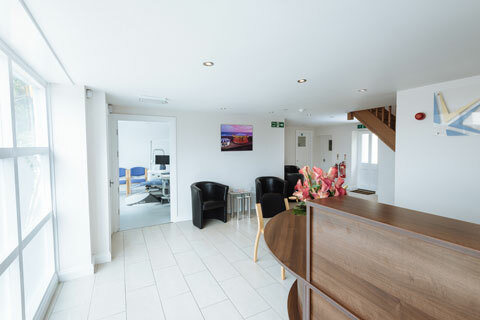 From complimentary, freshly ground coffee to our modern facilities tucked away in rural surroundings, we’re proud of our dental healthcare centre in Susssex and we think you will be too. Regain your confidence: With Vitality you can regain your confidence by achieving the ultimate smile. We never judge, we’re simply here to make you look and feel great. To make an initial consultation and find out how we can help you regain your confidence in your smile, ensure total mouth health as well as identify any treatment required now or in the future please call our friendly team on Pulborough 01798 872004, alternatively use the Book Appointment form on the top left of this page.